Are Outdoor Awnings Fade Resistant? We take a look at the innovative engineering that goes into external fabric designs. Whether you have a tiny patio space or large sweeping lawns, having a little patch of outdoors to call your own is a wonderful thing. Allowing you to get back to nature, throw BBQs or simply sit out in the fresh air, an outdoor area can become an extra living space to the house itself. There are times however, where we need a little assistance in shading ourselves from the elements and that is where Caribbean Blinds are here to help. With a wide variety of retractable awnings, we can offer an easy and stylish solution to the harsh midday sun or light unexpected showers. In several colours, from vibrant to understated, as well as a selection of patterns, you are sure to find a style to suit your own taste. Each design can be tailored to your own space and being able to inject a bit of colour to your garden can be a fun way to add character to your home. One issue that many people worry about however before investing in these sorts of blinds is that they may not stay looking as good as new for that long. The sun naturally has very strong rays and many of us will have noticed the bleaching quality it can sometimes have on fabrics. Often curtains hung up in our windows at home can become lighter on the outside, purely from being exposed to sunshine. It is because of this that some people may worry that a brand-new awning will only look as colourful and fresh when it is first installed and could look tired and worn out quite quickly. We can reassure our customers that the awnings and blinds that we install are in fact fade resistant, due to the materials used to create them. All of our patio awnings exclusively feature Clean Brilliant Acrylic (also known as CBA) fibres which is the finest in solar shading fabrics available today. 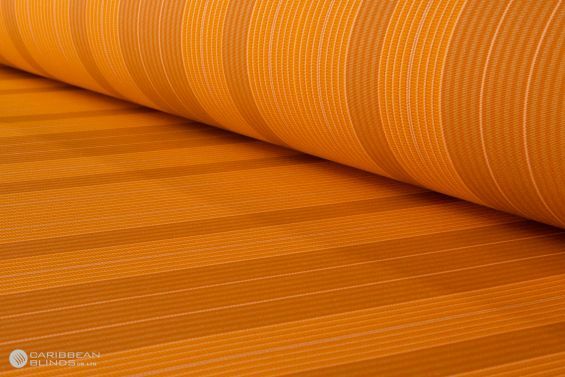 This technology offers unbeatable heat, light and UV ray resistance, meaning that not only is the fabric robust enough to withstand stretching but also acts as a protection against fading. That is why you can rest assured that any of our designs will stay looking fresh and vibrant for their lifetimes. 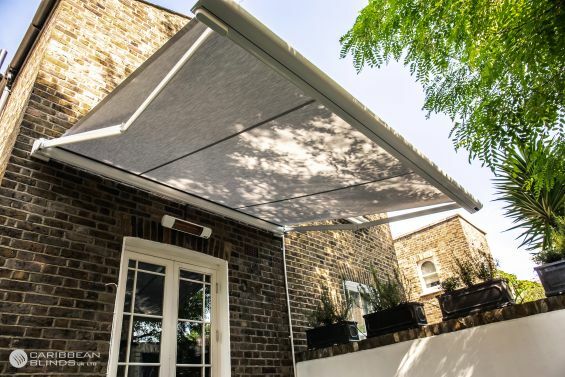 This material is also water repellent, ideal for keeping you protected during rainfall, and offering a self-cleaning effect to the awning, meaning it will stay clean and bright looking for longer. It is because of these properties that we can assure our clients that investing in an awning can be stress free and very low maintenance. Here at Caribbean Blinds we offer the highest quality in outdoor awnings and pride ourselves on being able to promise our customers long lasting style, colour and design. Get in touch with our team today to discuss how we can help you create a colourful outdoor space at home that will stand the test of time.